Today's second day of 12 Days of DIY is written by a special guest, my older sister! I asked my sister earlier this month if she wanted to contribute to my DIY December posts and she said yes! My older sister is amazing who has been knitting for years! 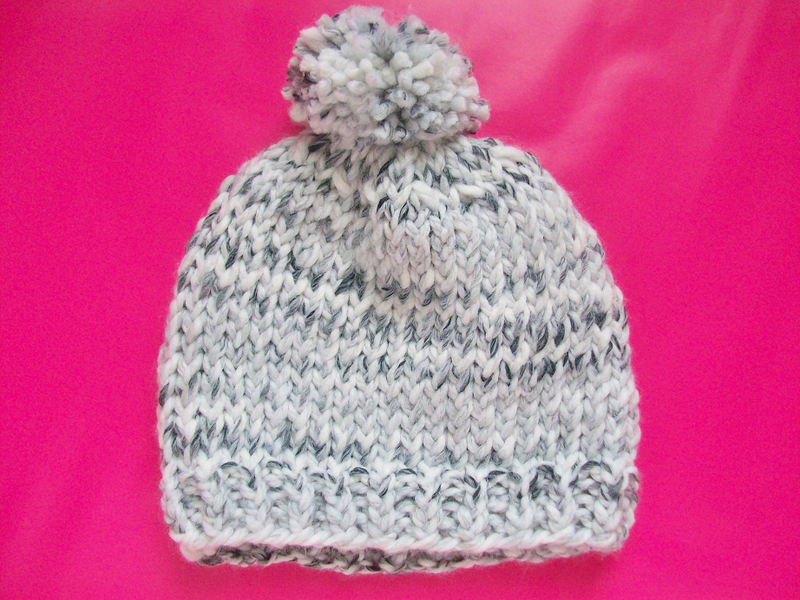 She shared a quick and easy knitting pattern for you knitters out there. With that said take it away from my lovely older sister Stephanie! 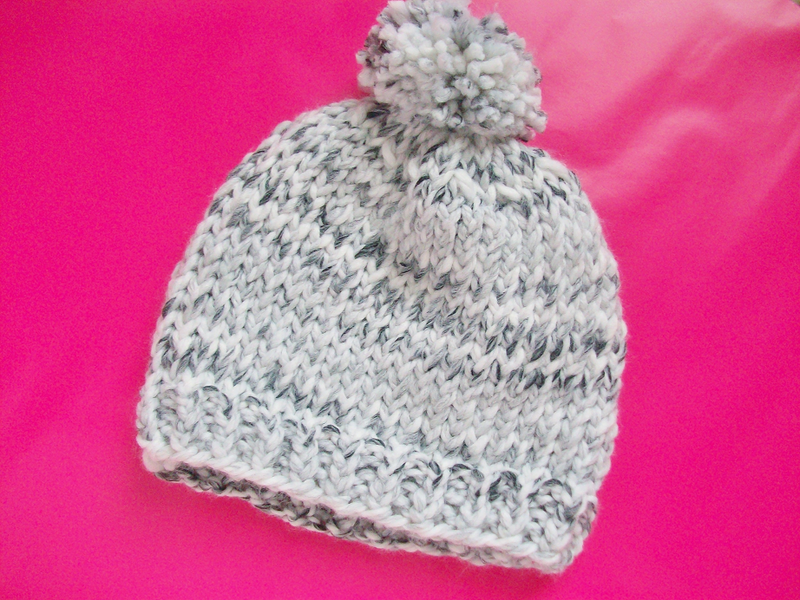 This is a super simple knitted hat that can be made in under a day. 'Tis a great last-minute gift for that person you didn't know would be showing up to the holiday get together... Get your stuff, put on two good movies, and knit away! CO 40 sts and begin working in the round, without twisting stitches, place marker. Work 1x1 ribbing (k1, p1) for each round until it reaches about 1 1/2 inches. 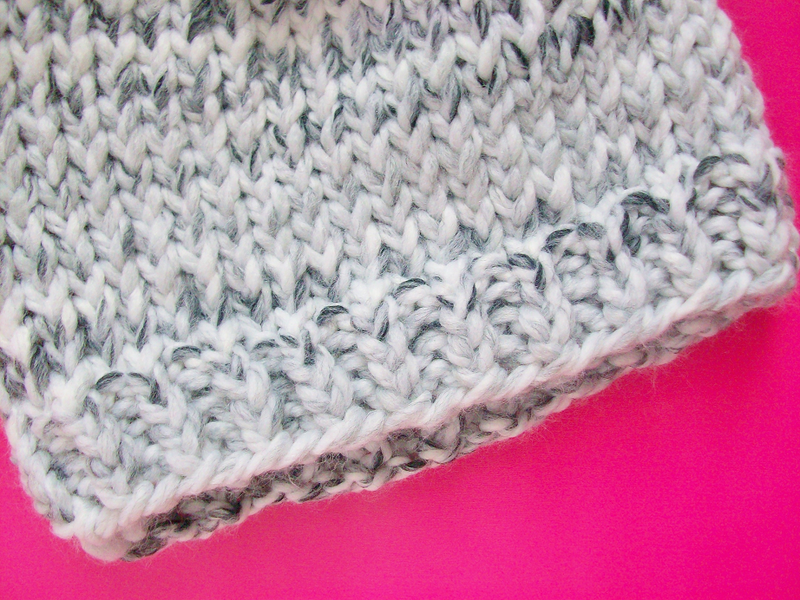 Then work in stockinette (all knit stitches, every row) until your piece reaches 7-8 inches or desired length. When you are ready to close that top up, work the decreases. Row 1: *k2, k2tog, repeat from * for this entire row (until it reaches the marker). Cut a long length of yarn and thread through the remaining stitches. 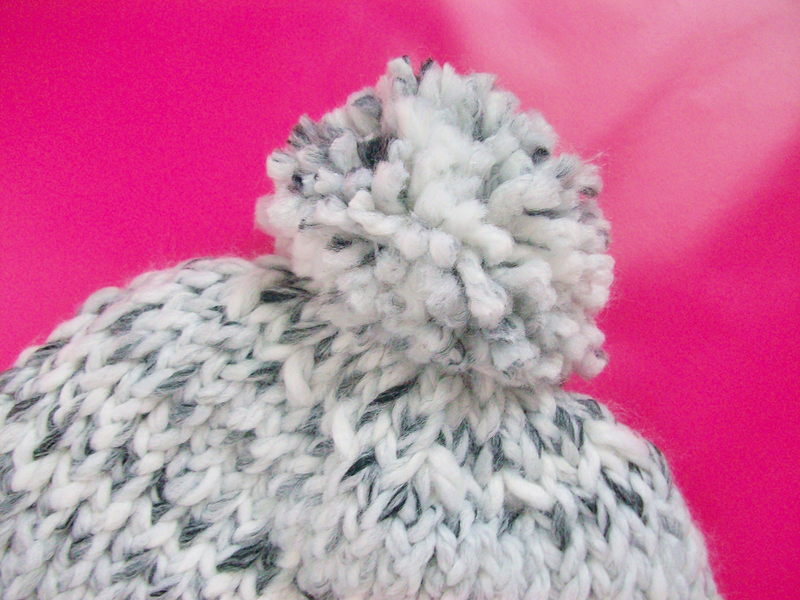 Make a giant pompom using a spiffy pom-pom maker, like the one I borrowed from my sis. OR do the cheapo way that I usually do: wrap yarn around your hand, tie with a long strand and carefully cut. Attach pom-pom securely on the hat. I thread the yarn a few times until it's no longer too loose. Let me know if you would like to see more knitting tutorials by my sister.